Estee Lauder Double Wear Flawless Hydrating Primer SPF 45 - Let's start off with my favourite primer right now. I swear by a good primer, it acts as a base between your skin and makeup and also keeps my foundation on all day long, perfect for long, sweaty commuter days haha. I swear by primers that have skincare benefits too. I recently discovered Estee Lauder Double Wear primer and it's great because it feels lightweight on the skin, it literally glides on, it makes my face look so bright and smooth plus has high protection against UV rays and pollution so I know I'm protecting my skin every single day. Shop it online here. 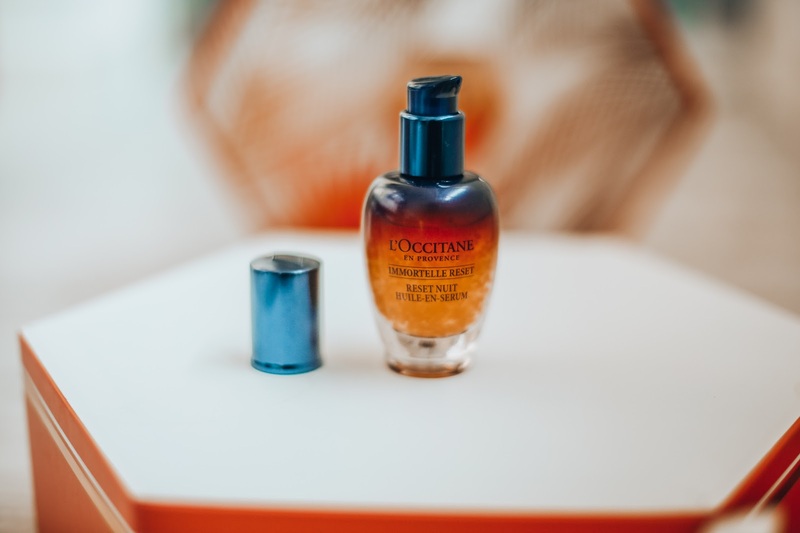 L'Occitane Immortelle Reset Night Serum - I feel very lucky to have been trialling this product for a few weeks before it launches and I have to say, it's epic. I was even teaching my Grandma about it the other day and she knows her skincare. Keep an eye out in September when this launches (I'll be treating myself to another bottle!) This is basically designed to reset the skin overnight and erase the impact of stress and tiredness. It's designed to leave the skin looked rested, fresh, youthful and radiant. It comes out like a light-weight water-gel and inside it? Acmella Oleacera which is a natural alternative to botox and relaxes muscle tension. When you massage this into your skin, thousands of suspended gold bubbles release Immortelle Oil Extract which is a powerful antioxidant for increased collagen. I have to say, my skin feels instantly hydrated and glowy when I apply this before bed. It's basically the perfect way to cheat 10 hours sleep. L'Occitane is a brand I trust so much due to their science and natural ingredients so I truly adore this. 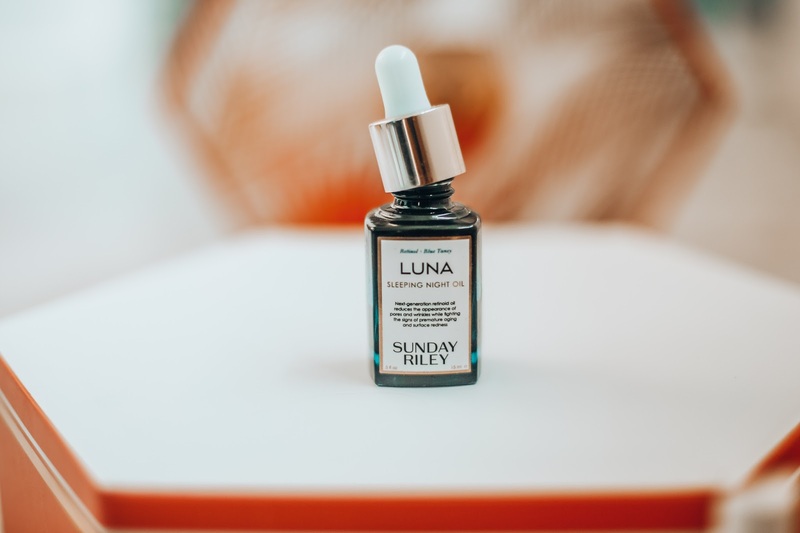 Sunday Riley Luna Sleeping Night Oil - I'll have to admit, I was scared to use this at first because it comes out blue but stick with it, there's a reason it's a celebrity favourite. This is designed to fight wrinkles and rejuvenate tired skin (that's me, every day). It's a night-time skin treatment and uses retinoid oil to target visible signs of skin damage caused by age and the elements. I was always told to start using anti-ageing products before my skin actually ages. The ingredients are epic, including cold-pressed avocado, chia and grapeseed oil so say hello to a powerful super serum. I apply this 1-3x per week. Online here. 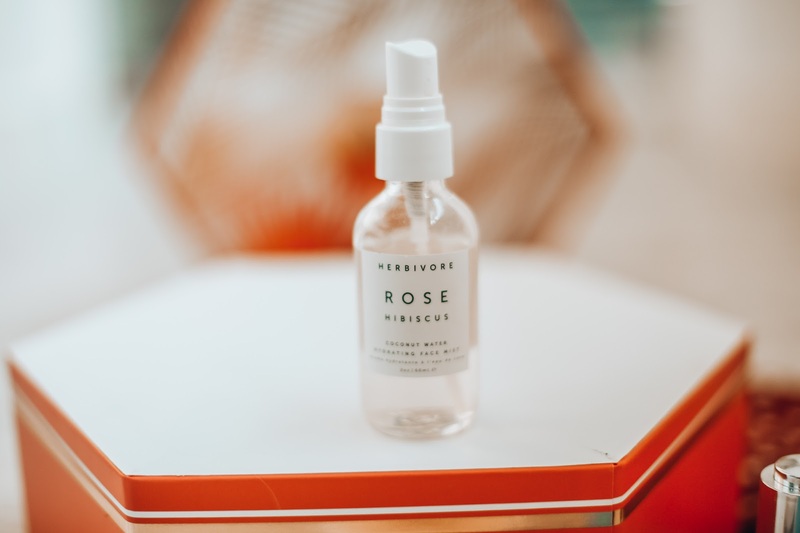 Herbivore Rose Hibiscus - I can't resist a good face mist and Herbivore is such a beautiful brand, just look at their packaging!!! This face mist has coconut water for rehydrating the skin and making it glow (top tip, drink your Vita Coco water every day for a glow from within - thank me later - it works wonders on my skin and there's a reason all the models drink it too, it's packed full of electrolytes), as well as Hibiscus Flower to provide natural exfoliation and speed up cell turn over. Say hello to even skin tone and then they added some witch hazel in to reduce any inflammation. I pack this in my bag and spray it all day long, over make up too. It's also great if you travel. Online here. 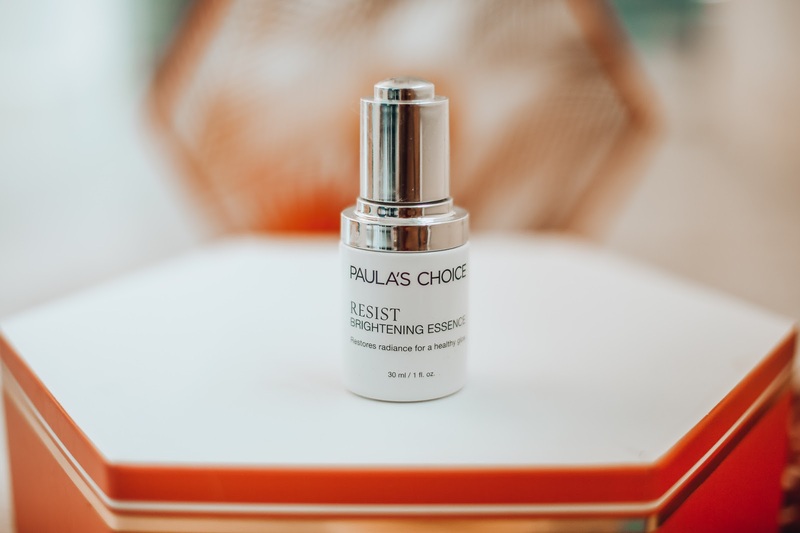 Paula's Choice Resist Brightening Essence - Oh Paula's Choice, you are truly a wonderful brand. I love so many Paula's Choice skincare products but couldn't talk about serums and not feature this. This is designed to treat lack-lustre complexions and revive radiance in the skin. I actually put a few drops of this in with a day cream or serum so that it's brightening my skin too at the same time. This has plant extracts, vitamins, antioxidants and anti-ageing treatment too so it pretty much does everything to give you a youthful glow. Online here. Neutrogena Hydro-Boost Super Charged Booster - Ahhh this pot may be small but it's mighty. I talk about this product all the time and it's because it's always with me. It's the perfect travel size. 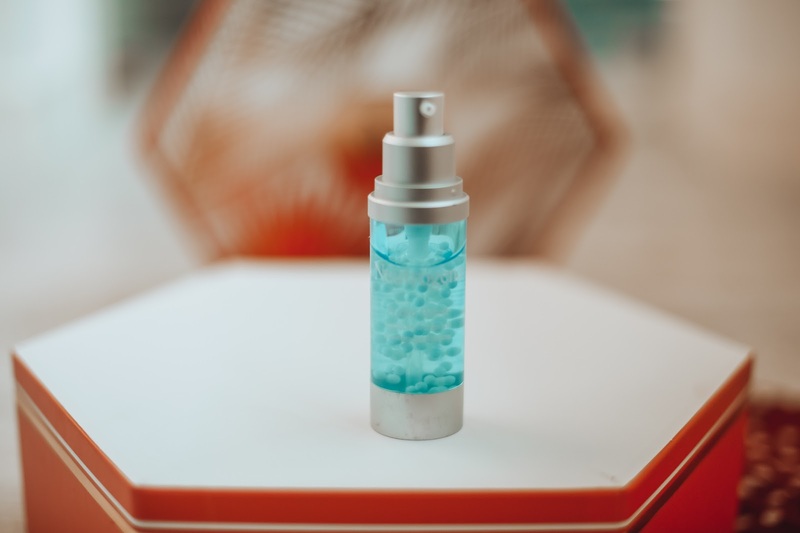 Say hello to hydrated skin, this is full of vitamins and instantly makes my skin glow, plus it has Vitamin E and Hyaluronic Acid inside for bright skin. I like it because it's so affordable too. This has been travelling around the world with me since May! I've noticed such a difference in my skin, hello glow! Online here. Hello Jo Bright Eyes Jelly Masks - Hello Jo is a new brand (or a least, new in my life) and one I can definitely get on board with. Their products are quirky and fun but actually good too. I really struggle with tired under-eyes (too many late nights) and fell in love with their eye patches recently. These little jelly masks are packed with caffeine to reduce puffiness and brighten dark circles. You just pop these on for 15 mins and your skin will look instantly revitalised, perfect for travel. I also LOVE and have loved for yeaaaars, the Filorga Optim-Eyes Patches so if you are in the market for eye masks, definitely check these out too. Online here. 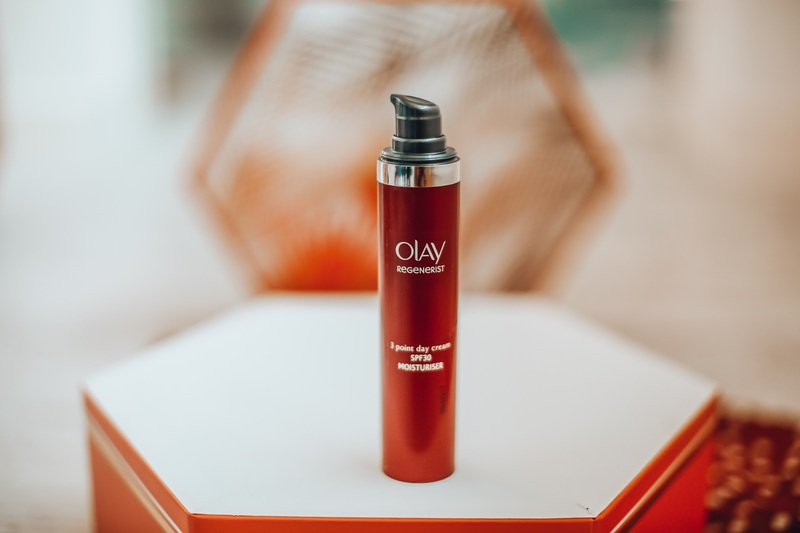 Olay Regenerist 3 Point Day Cream SPF 30 Moisturiser - Olay is a household name and their epic products truly have stood the test of time. 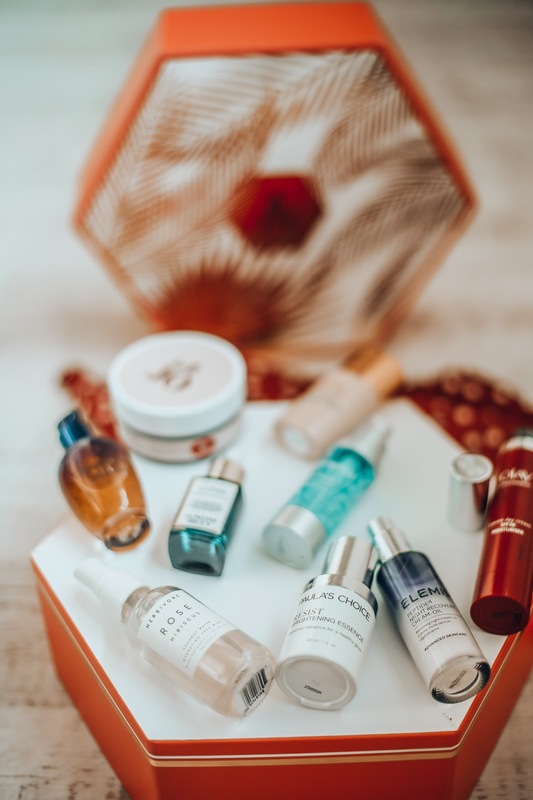 I've been loving their Regenerist Day Cream this Summer as it's soft, gentle and makes my skin SO hydrated all day long. I love the SPF in all Olay products and think they're the perfect handbag products too. You'll never find me without moisturiser! 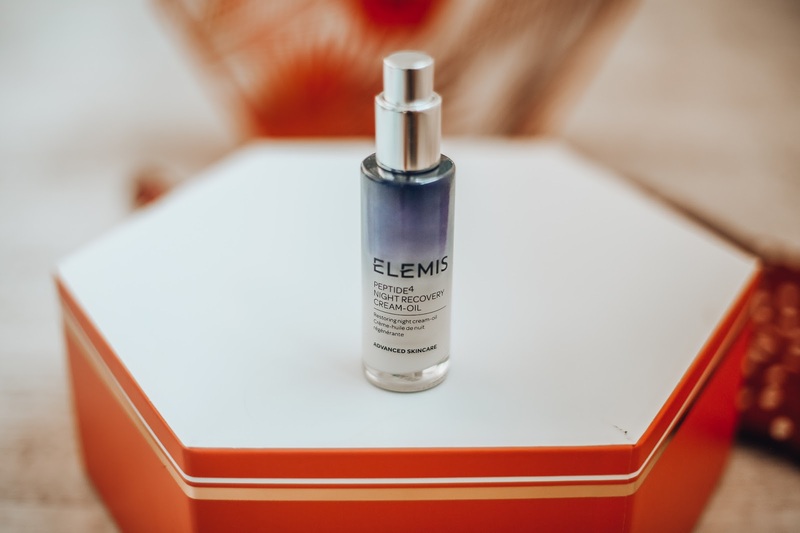 Elemis Peptide 4 Night Recovery Cream Oil - Last but certainly not least, I have been using Elemis Peptide 4 Night Recovery Cream Oil on an evening (mixing up the Sunday Riley, this and L'Occitane at the moment) and ah this product excites me way too much. 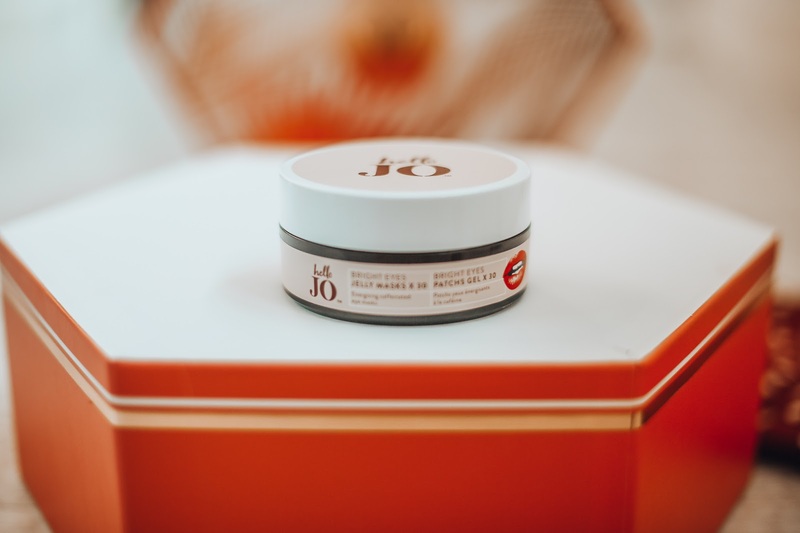 It's a night cream so I pop it on before bed and it combines the hydration of a moisturising cream with the protection of an oil, it's designed to boost repair and renewal of your skin during the night but works to support the skins natural processes. 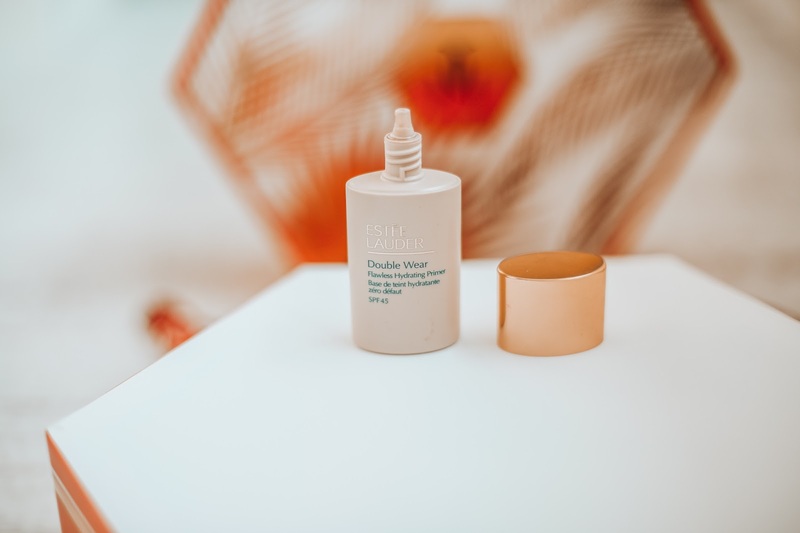 This product is for someone whose skin is in a harsh environment, travels a lot and had disruptive sleep patterns, all these things can have an effect on the circadin rhythms of the skin but this little wonder is designed to synchronise the skin and rebalance it. I love any product that's full of natural goodness and will restore my tired skin. Online here. So there we have it! 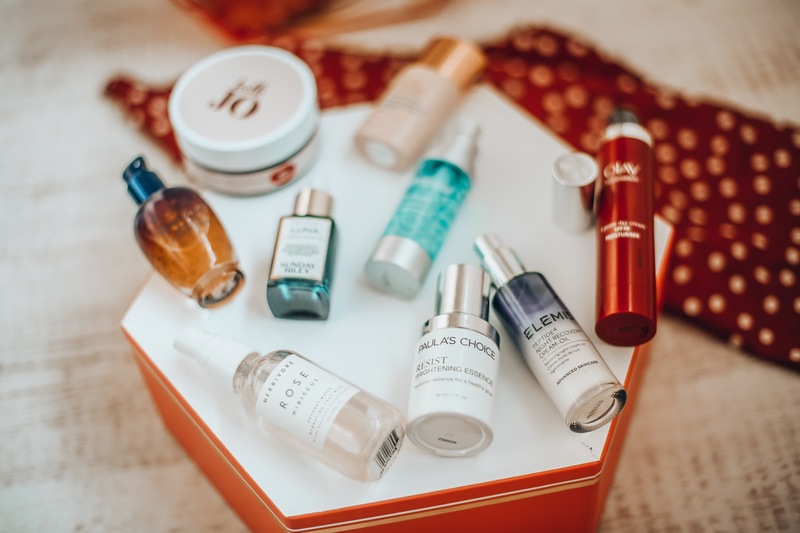 These are some of the products I'm grabbing at the moment in my bathroom and I hope this helps if you're in the market for a new serum.